Healthy eyes are constantly covered by a layer of fluid known as a tear film. Dry eyes occur when the fluid production from the tear glands decreases, which causes the tear film to break down rapidly. Avoiding air blowing in your eyes, rubbing your eyes and smoke-filled rooms can help prevent your eyes from drying out. If you find your eyes have become tired or dry despite your efforts, several herbs may help restore their natural moisture. Eyebright, a medicinal herb also known as Euphrasia, derives its common name from its reported ability to brighten and heal the eyes. Herbalists have used eyebright for treating a variety of eye-related ailments, including eye strain, bloodshot eyes, conjunctivitis and irritation. The herb has astringent properties that shrink tissues and blood vessels, which may account for some of its benefits. In his book “Doctor's Guide to Natural Medicine,” Paul Barney explains that eyebright may successfully treat dry eyes by restoring their natural moisture. Make a compress by steeping 1 tsp. dried eyebright in 1 cup of boiling water for 10 minutes, straining and soaking a clean cotton cloth in the tea. Wring out any excess moisture and apply the compress to closed eyes for 10 to 15 minutes at a time. 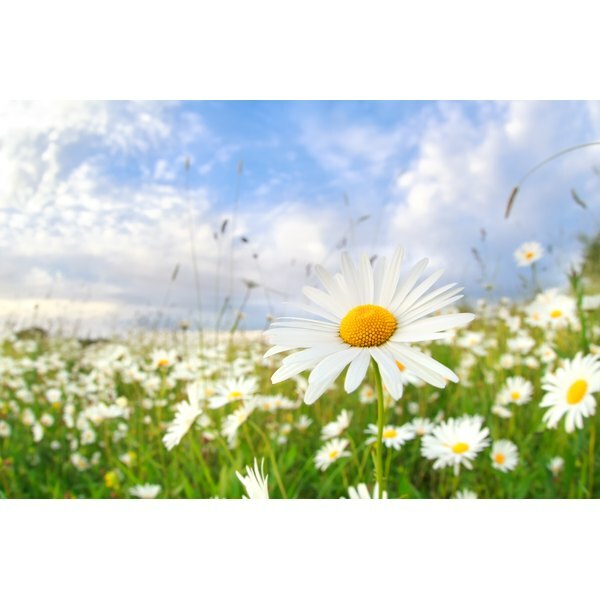 Chamomile, a cooling and anti-inflammatory herb, soothes tired eyes and helps restore moisture to dry eyes, according to Susan Berg in her book “Natural Prescriptions for Women.” Make chamomile tea by steeping 1 tsp. of the dried herb or one chamomile tea bag in 1 cup of freshly boiled water for about 10 minutes. Strain and chill the tea in the refrigerator or freezer until it's cold. Soak cotton pads in the chilled tea and apply to your closed eyes for at least 15 minutes at a time for relief. Repeat when the pads become warm, until the eyes regain their natural moisture. A common culinary herb, fennel may also help bring moisture to dry eyes. Lisa M. Chavis, author of “Ask Your Pharmacist,” recommends applying a fennel compress to cool, refresh and restore moisture to dry, tired eyes. Pour 1 cup of boiling water over 1 tsp. of dried fennel, allow the mixture to steep for at least 15 minutes, and then strain the herbs from the liquid. Make a compress by soaking a clean cotton cloth or cotton pads in the warm tea. Apply to closed eyes and leave on for at least 10 minutes, or until your eyes are no longer dry. Bilberry, a shrub closely related to the American blueberry, provides nutrients that nourish the eyes, improve vision and prevent damage to the structure of the eye. In her book “Smart Medicine for Healthier Living,” Janet Zand recommends taking 40mg to 60mg daily of bilberry extract standardized to contain 25 percent anthocyanidins, or the phytochemicals that benefit eye health. This may prevent the eyes from becoming dry in the first place. For faster relief, make a tea using 1 tsp. dried bilberry leaves steeped in 1 cup of boiling water for 10 minutes. Soak a cotton cloth in the mixture, wring out and apply the compress directly to your dry eyes until symptoms subside.